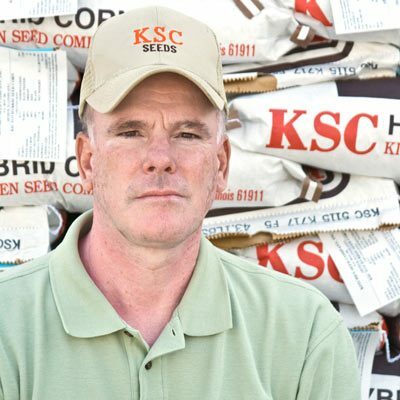 Rex Syrcle | Kitchen Seed Company Inc.
Rex is manager of the Pittsfield, Illinois location of Kitchen Seed Co., Inc. and has been with the company since 1994. He specializes in grain, small seed, grasses and food plots but also takes care of the day-to-day operations of the branch location. His experience is largely a result of being raised on an active farm in the Pittsfield area and farming there for several years. He and his wife, Rhonda, still reside in that area and have two sons. Rex handles sales in the west central area of the state of Illinois.